Hoooray! 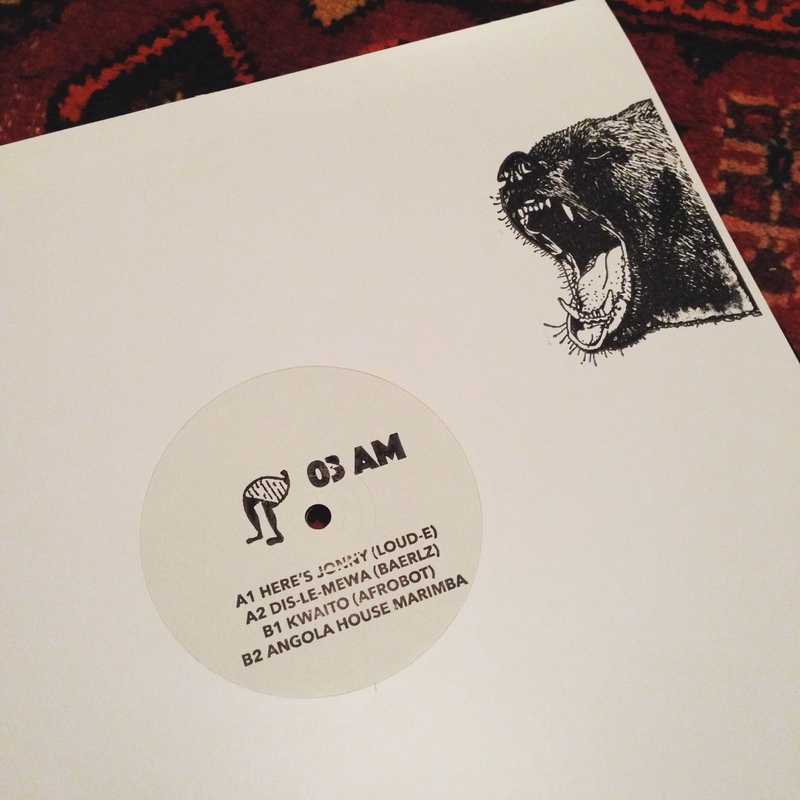 Here’s 03AM, the third release of the label related to this blog. This EP contains 4 edits: American and Bollywood disco on the A-side and two contemporary Afro house cuts on the B-side. The first track we definitely wanted to release is Dis-Le-Mewa by Maxence Déon aka Baerlz, a young Parisian dj/producer, who sent me some private Soundcloud links half a year ago. Immediately I fell in love with his Bollywood edit, only problem was that it sounded too crackling because it was made of an old record. Just a couple of weeks before I had met Thee J Johanz in Groningen, an old school Dutch dj/producer, who told me about his extensive Bollywood collection, so I asked him if he could provide us with a cleaner copy of the track. It was not in his collection, but within 2 weeks he scored a near mint copy and sent us a super nice sounding recording of the song and 1 day later Baerlz’ remake of the edit was done. It supposed to be the A1 track, but the pressing plant made a mistake, so it became A2 on 03AM. Here’s Jonny is Loud-E‘s fat synthetic disco edit, made from Open the Door by Claudia Barry but Loud-E is taking the song to another level… Ahmed and me first heard it at an Thursday night listening session at Red Light Records, as Tako was checking Loud-E edits of an old hard disk he found somewhere and Ahmed got the track the next day! Probably from around 2004 this is another crazy Loud-E-fied banger – A1 on the actual record / A2 (at 1:32) in these snippets. On the other side of the EP you find two Angolan tracks, lost and found on the internet, the first one, Kwaito is a – more than 3 times extended – version of this 2 minutes Angolan mix in this Youtube clip “touches of Kwaito”, which I liked so much and I wanted to be able to play during my gigs. The first 2 minutes are exactly the same as in the original video, after that I start looping and changing and re-arranging things. In the release info (for the shops) I made a mistake, fooled by the title of the clip, I wrote it’s a South African jam, but it’s not. 03AM is mastered by Johanz at the Ballyhoo Studio.